For those of us who watched with innocence, then passion, then consternation, the results of the 1991 senate hearing for supreme court nominee Clarence Thomas; for those who championed film stars, then ordinary women daring, finally, to call out Harvey Weinstein and a stream of male predators; for those who watched with confidence the rise of #MeToo; for those of us who wrote poems and songs and opinions hailing a real cultural shift in female-male dynamics; for those of us still unable to admit being sexually abused; for those of us who finally confessed some discomforts to our lovers; for those of us who overcame difficulties to tell our sons and our daughters about those endemic secrets; for those of us who believe openness and dialogue are healthy and transformative — we now fear we were misguided. 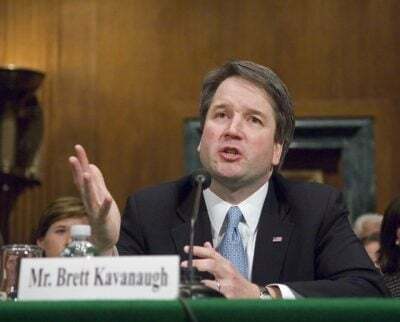 Simply from the way these hearings evolved – a spectacle of unmatched raw politicizing, as Lorraine Ali writes — I wonder if the process we have witnessed actually reinforces how deeply misogynist and white male-privileged American culture is. From the arrival of nominee-Dad with teenage daughter, his awesome welcome into the hearing, adorned by senate sycophants, proceeding through rumors, press reports, to a face-off– testimonies by the ‘injured woman’ and the defending nominee—wrapped up with theatrical declarations by the candidate’s partisans and a phony compromise to bring the curtain down on Friday’s performance, America remains far, far from gender equity and open democratic processes.